Petrotrin vessels engaged in corralling and recovery activities. Photo courtesy the Ministry of Energy and Energy Industries. Pre-abandonment works on the Couva Marine 2, the leaking well in the Gulf of Paria, began on Sunday, following completion of an appropriate well control strategy, risk assessment and the fabrication of the necessary fittings and equipment to allow for safe operations. Developing the strategy required analysis of historical data from the well and other wells in the area, an assessment of the current conditions and the sourcing of the required materials and equipment, some of which had to be specially designed and fabricated. 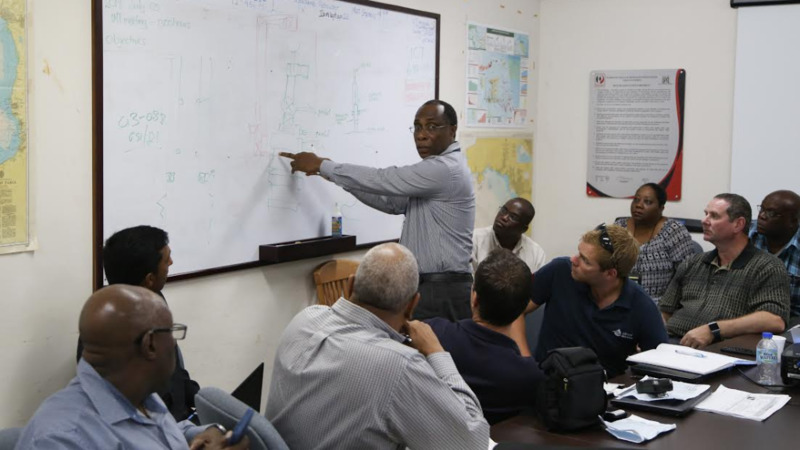 Well-control specialists from Boots & Coots Services have been providing technical advice and support for the Petrotrin team involved in the emergency response. Boots & Coots Services, is one of the leaders in the global energy industry for well control services. The company boasts of over 40 years’ knowledge and experience in addressing the industry’s most challenging well control problems – onshore, offshore and subsea. Activities to contain and recover the spilled hydrocarbon material that is being emitted by the well have been on-going. These activities include corralling the wax-like, foam mousse and then vacuuming it into intermediate bulk containers stored on the vessels engaged in the operations. 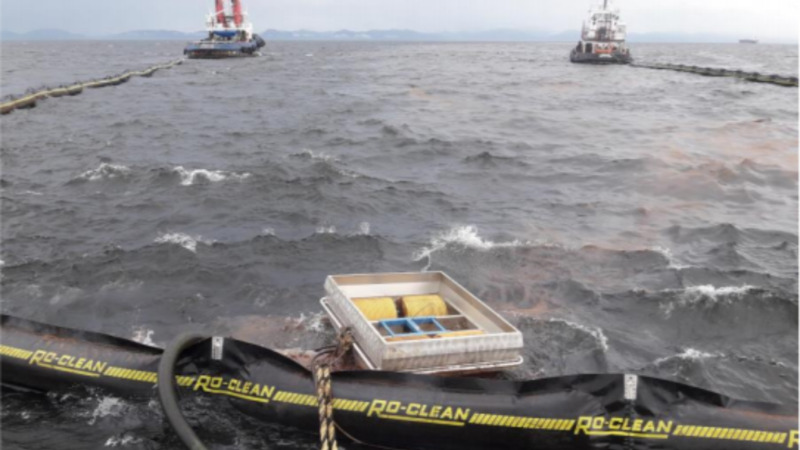 Petrotrin’s expertise in this regard has been supplemented by personnel from Oil Spill Response Limited, one of Petrotrin’s external partners for oil-spill response. On Sunday, a public advisory notice was published in the newspapers advising of the abandonment works which are expected to last for approximately 14 days and requesting that marine craft operators and other users of the sea maintain a three nautical miles radius of the well during the period. The prohibited area has been reduced by the Maritime Services Division from the original radius of five nautical miles from the leaking well to three nautical miles and additional warning buoys have been deployed. 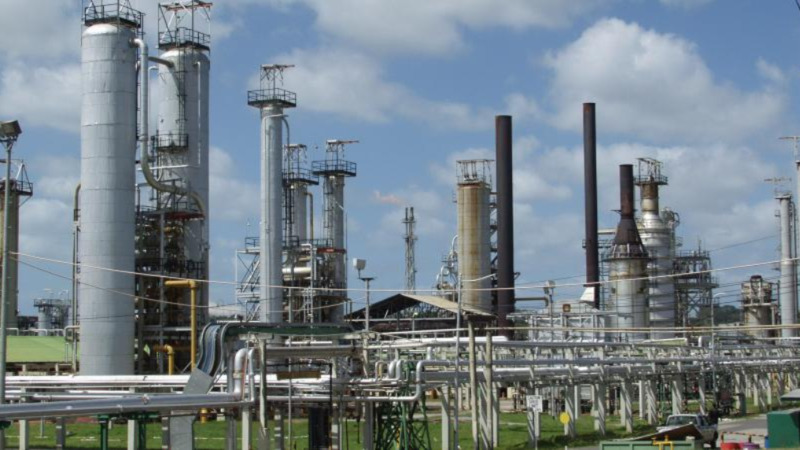 Both the Coast Guard and Petrotrin security vessels will maintain patrols in the area.